This training was phenomenal – one of the most helpful sessions I’ve attended in a LONG time! Great session!! Loved it! 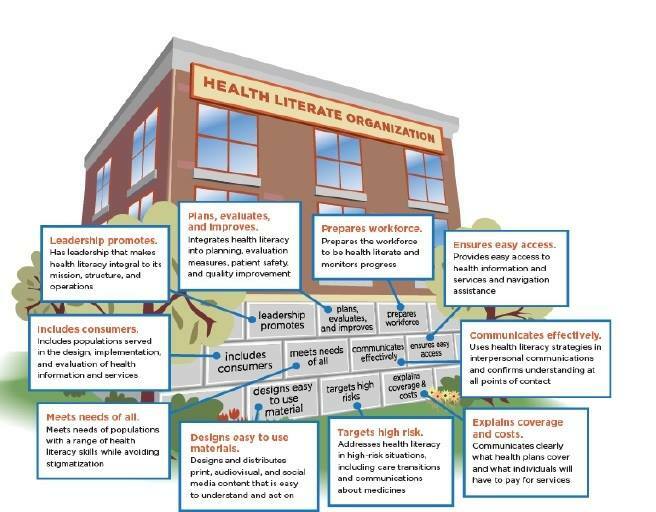 Our Health Literacy and Plain Language training is designed for an organization that communicates health information and wants to start this initiative in their organization. We will work with you to identify the stakeholders in your organization and then customize training for those groups based on their neeeds. Innovation Workshops – Training customized for your particular challenges. These workshops are to get you to identify client solutions that integrate health literacy / plain language.